Coffee Type- ESE Coffee Pod, 18 Pods. Perfect For- Any ESE machine, can be used on the Handpresso Products as well. 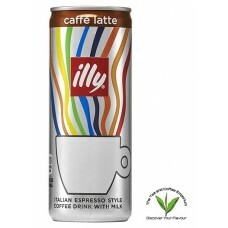 Description- Most experts today would agree that illy was ahead of its time in the 1970s, finding a way to make high-quality espresso easier to prepare and enjoy. The E.S.E. (Easy Serving Espresso) pod format presaged today’s popular pre-packed, single cup coffee-making formats, and remains a popular choice for passionate coffee lovers at home. What We Think- The perfect way to enjoy a Illy Espresso without having to worry about grinding coffee beans and cleaning up afterwards. Has to be used with a ESE compatible coffee machine.